If you’ve ever fancied owning a Segway but found the price tag to be prohibitive, then you might want to take a look at the new Personal Rover scooter. Although on first inspection it looks like the kind of thing Grandad might knock up in the garage on a Sunday afternoon, a look at a video (check it out below) of the Personal Rover in action will show you otherwise. 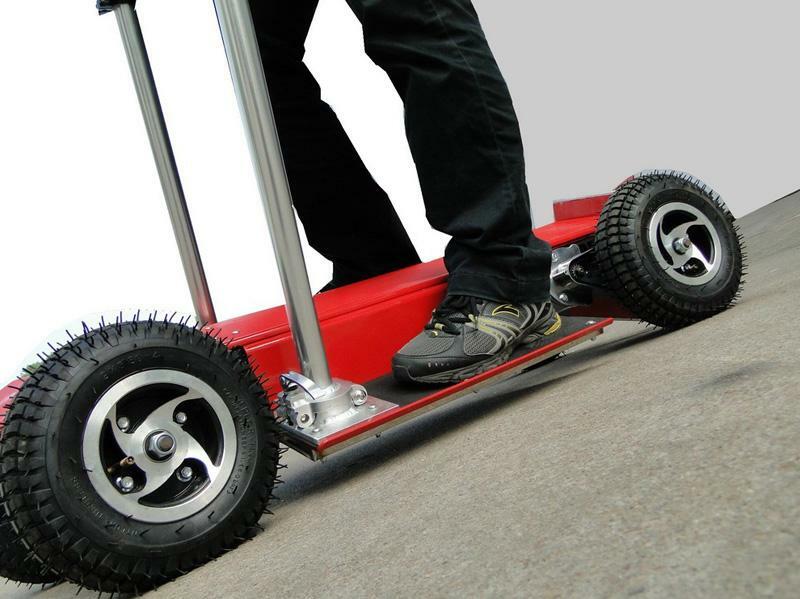 The contraption, built by a company in Florida, comprises a fairly large platform for standing on, four wheels and two poles for steering and to aid balance. The Rover is steered by simply tilting your body left or right and with four wheels instead of two, one imagines it’s far easier to control than a Segway. Indeed, many will recall the tragic accident two years ago involving Segway boss Jimi Heselden when, police believe, he lost control while on one of his motorized scooters and rode off the edge of a cliff. Powered by an 800-watt electric motor and 36-volt rechargeable battery, the Rover can do 12 miles on a single charge and reach speeds of up to 15mph. It may lack the elegance and wow-factor of a Segway, but with a price tag that low, the Rover may well tempt those who prefer to glide along sidewalks rather than walk.